My niece was badly burnt in an accident a few weeks ago, which was shocking for all of us and horrific for her. At the age of 24 she is facing living with the consequences of this for both her body and mind. She has been incredible in her response to it all and has dealt with her injuries and us, her family, friends and carers with a strength, stoicism and humour that belies her age and of course she’s had moments of fear, doubt and vulnerability along the way. As the New Year heralds the usual messages of resolutions and beginnings, we pause to consider how this New Year we might be different. Last year felt unprecedented in terms of the surprises that played out on the world stage, and the subsequent uncertainty that we start the year with is both worrying and hopeful. At Development Potential we work with leaders and their teams to succeed and thrive in today’s fast changing, increasingly complex, commercial environment. We help develop business potential: a leader’s own potential, the potential of teams and the potential of the organisation. We believe this development process is a journey, a product of self awareness, connections and interactions and overall business context. 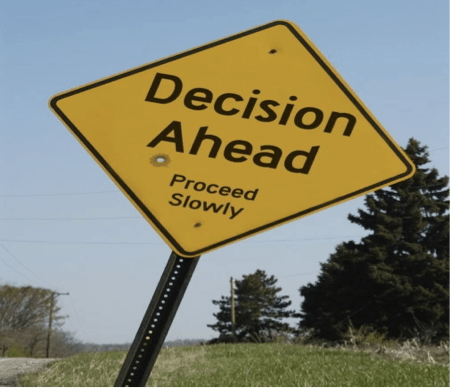 Making decisions collaboratively – a contradiction in terms? Is the current focus on collective, collaborative leadership having the consequence of ‘stale mate’ on making the tough difficult decisions that need to be made? Listening to a number of clients sharing their challenges of late, we begin to wonder if this is an unintended consequence of collaboration? We welcome your views on this? A process of determining how our past has shaped us into who we are today, or put another way, how we got to be the person we are today. Why is looking back at what has gone before important to the coaching process? Much of this behaviour is not conscious, it is so well laid down and repeated that we are generally not aware of any thought processes that drive these patterns of behaviour.